At Mini First Aid, we have a team of over 50 fantastic franchisees who deliver life-saving first aid training to 800 parents every week. 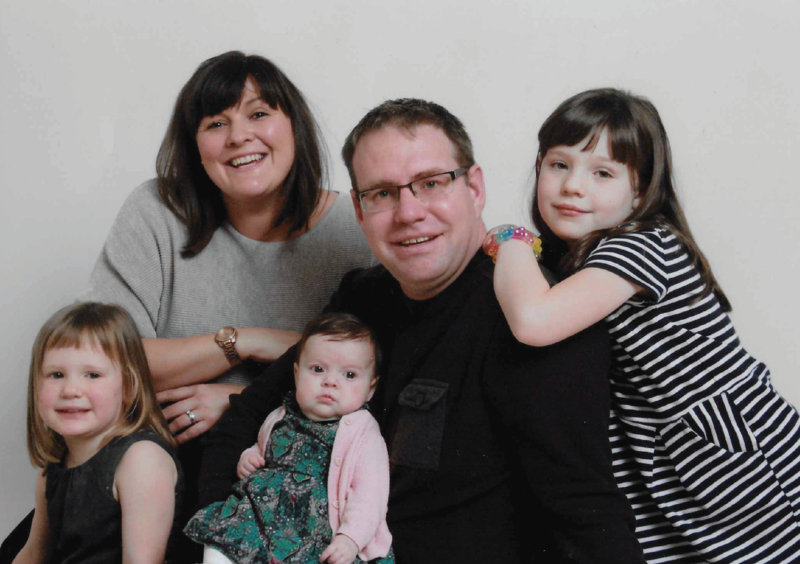 Michele is a Mum to Maisie, Freya and Millie and also runs our West Leeds & Bradford franchise. After having a very traumatic experience, she wanted to share why she joined Mini First Aid and what she loves about her job. When my daughter Freya was 2, she choked, and I panicked. I had no idea what to do and it was one of the scariest moments of my life. Fortunately, she was fine, but I booked myself onto a Mini First Aid class as I wanted to make sure I was prepared if anything like that happened again. I attended one of Kate’s classes with some friends and was blown away by how great it was. I thought at the time how amazing it must be to teach something so useful. How did you decide to join the Mini First Aid team as a franchisee? I was busy with work and the kids but couldn’t stop thinking about Mini First Aid and how I’d love to do something similar myself. I looked into other franchises but nothing really grabbed me like Mini First Aid. When I found out that Kate was growing the business and was looking for franchisees, I didn’t even have to think about it, as I just knew it was what I wanted to do. I told my husband straight away as I was so excited and didn’t waste any time in setting up my franchise. Did you have any previous first aid training or experience? My background was in Logistics, so first aid was completely new to me! However, the training I received was really comprehensive and I am now a fully qualified paediatric first aid instructor. We also have regular top up training to make sure we are confident and knowledgeable in what we are teaching and up to date with the latest guidance. What do you enjoy about working for Mini First Aid? The best thing about working for Mini First Aid is that I get to run my own business, but I also receive great support from the HQ team and the other franchisees. When I had my daughter Millie last year, the other franchisees all helped to cover my classes and keep my business going, and I’ve just taken on an additional trainer to help meet the demand. Kate who runs Mini First Aid is so inspiring to work with, and I really feel as though I’m part of a family, not just a number in a large organisation. There aren’t many part-time jobs that are this rewarding and where you feel that you are really giving something back and helping others. To run a franchise, your heart really needs to be in it, and you have to enjoy the job. I knew that Mini First Aid was the right one for me and it’s the best decision I ever made. Finally, is there any advice you would give to anyone thinking about becoming a Mini First Aid franchisee? If you’re looking for a job where you are your own boss and set your own hours, but also have the support of a great team, then you should definitely consider joining Mini First Aid. Your business can be as big as you make it – the potential is huge if you want it to be. For me, it has meant that I can fit my work around my family, which is exactly what I was looking for. Are you looking for rewarding yet flexible work that fits around your family? Would you like a job where you can choose your own hours? Why not become part of the Mini First Aid family – click on the link below to find out more about becoming a Mini First Aid franchisee? Click here to register your interest in becoming a Mini First Aid franchisee and we will be in touch with more details. Click here to find your local Mini First Aid class. Click here to browse our first aid kits and children’s books including 'Sit, Chop, Chew' which advises on safe eating for kids. Mini First Aid are delighted to now be stocking grape cutters! They can can also cut cherry tomatoes, strawberries etc. Available from our shop for only £5.99 including delivery. Click here to buy. These are a must have for every family kitchen and we are giving away TEN for FREE in this weeks competition! Head over to our Facebook, Twitter or Instagram page to find out how you can get your hands on one.